Lithofin Care Kit There are 4 products. 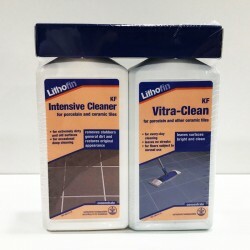 Lithofin Care-Kit PEMade in GermanyFor regular cleaning and maintenance of natural stone tops and vanities, to clean, polish and maintain. 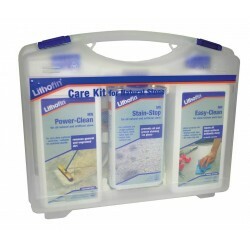 This care kit also contains an application cloth and care instructions for natural stone tops. 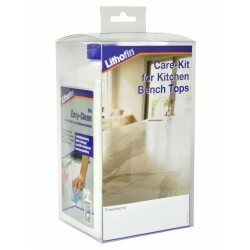 Lithofin Care-Kit BEMade in GermanyEspecially suited for new and existing natural stone tops and vanities to clean, seal and maintain. 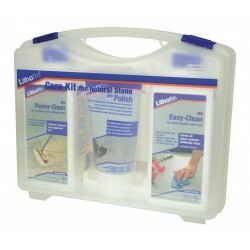 This care kit also contains an application cloth and care instructions for natural stone tops.